Sandra Ramos graduated from the “20 de Octubre” Elementary Visual Art School in 1983, the San Alejandro School of Fine Arts in 1988 and the Superior Institute of Art in 1993. After her graduation in 1993, she worked at the Superior Institute of Art as a Professor of Engraving until 1998. She has won The Best Show Award of the Year for The Multiple Print (Gallery 106, Austin, Texas, USA, 2002), the Great Award from the National Engraving Salon (Cuba, 1993) and an Honorable Mention at La Joven Estampa, the International Latin American Graphic Contest (Casa de Las Americas, Havana, 1990). 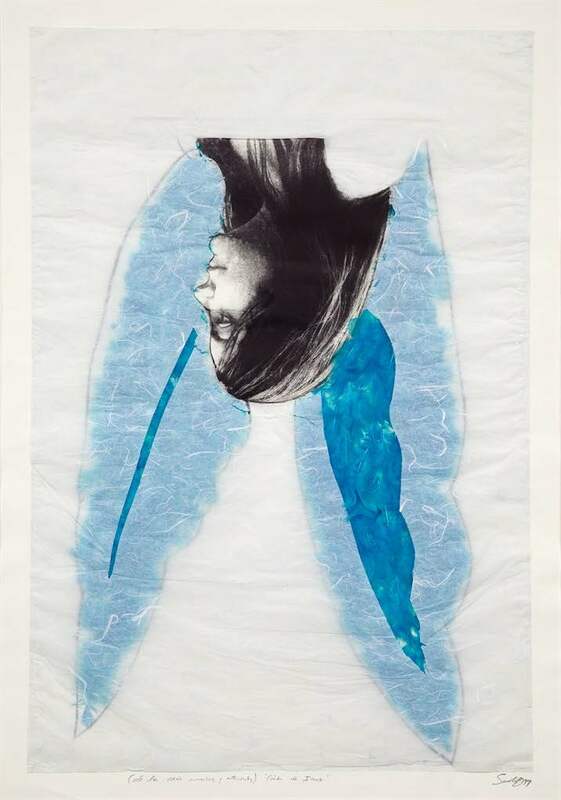 She has received scholarships and residencies at various institutions, such as The Fountainhead Art Residency in Miami, Florida (2011); the Center for Contemporary Printmaking in Norwalk, Connecticut (2009); the Mattress Factory in Pittsburgh, Pennsylvania (2004); the Fuchu Art Museum in Tokyo, Japan (2003); the Water Mill Foundation in New York (2003); the Fine Arts Work Center in Provincetown, Massachusetts (2002); the Barbican Center in London, United Kingdom (1999); and the Civitella Ranieri Foundation in Italy (1998). Ramos has lectured extensively on Contemporary Cuban Art at institutions including Havana University, the Fuchu Art Museum in Tokyo, Japan; the Lowe Art Museum at the University of Miami, Florida; the School of the Museum of Fine Arts in Boston, Massachusetts; the CUNY Post Graduate Center in New York; Wake Forest University in North Carolina; and George Mason University in Fairfax, Virginia. She was the co-curator of the engraving event The Multiple Print for various years, and she received the National Curatorship Award granted by the National Council of Visual Arts of the Cuban Ministry of Culture in 2003. Seremos como el Ché (We will be like Che), 1993. Chalcography. Paper: 19 3/4 x 25 1/4 in. Framed: 25 x 28 1/2 in. La maldita circunstancia del agua por todas partes (The Damned Circumstance of Water Everywhere), 1993. Etching and aquatint. Paper: 28 1/4 x 39 1/4 in. Framed: 34 1/2 x 45 1/2 in. Con mi cruz a cuestas (Carrying My Cross Around), 1993. Chalcography. Paper: 19 5/8 x 26 in. Framed: 24 3/4 x 28 1/2 in. Embarazo (Pregnancy), 2000. Pencil, mirror, porcupine quills, cut-and-pasted printed paper and collage of papers on paper. Paper: 28 3/4 x 36 in. Framed: 35 3/4 x 42 1/4 in. Caída de Ícaro, de la serie Inmersiones y enterramientos (Fall of Icarus, from the series Immersions and Burials), 1999. "Japan" paper, charcoal, feathers and cut-and-pasted printed paper on paper. 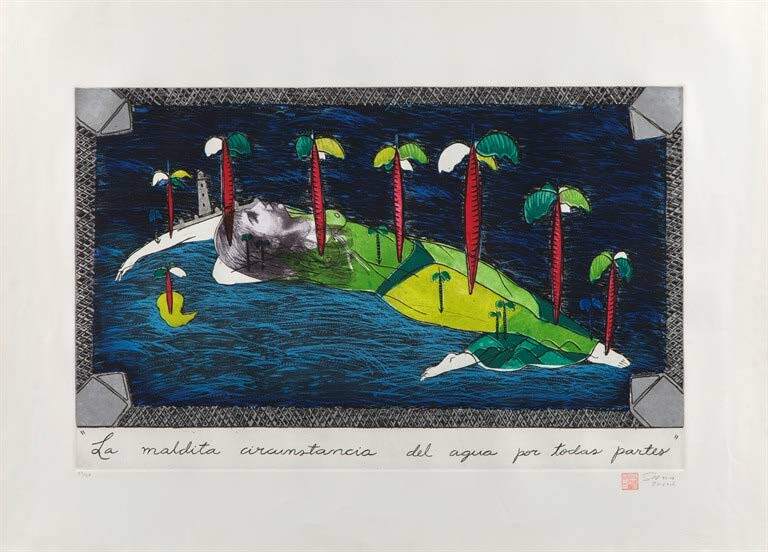 Sin título, del portafolio (Contemporary Prints from Cuba), [Untitled, from the portfolio (Contemporary Prints from Cuba)] 1998. 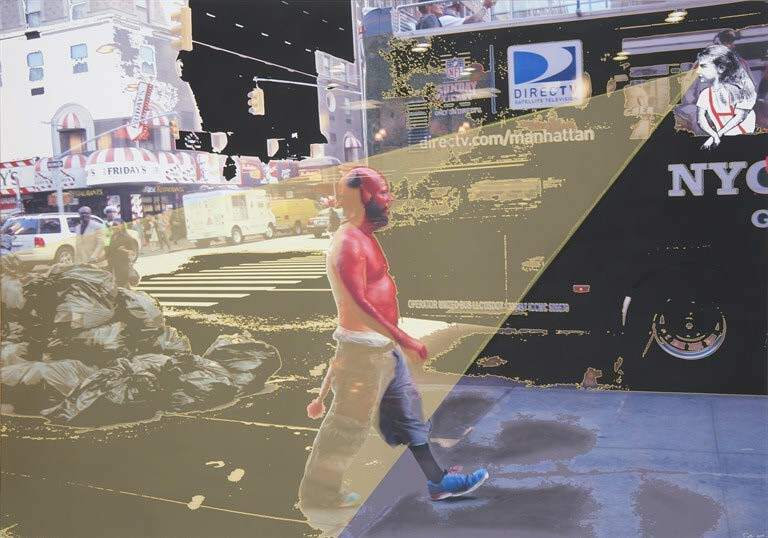 Visión del Diablo en Broadway (Vision of the Devil on Broadway), 2010. Charcoal and acrylic on digitally printed canvas. Object: 35 3/8 x 51 1/8 in.